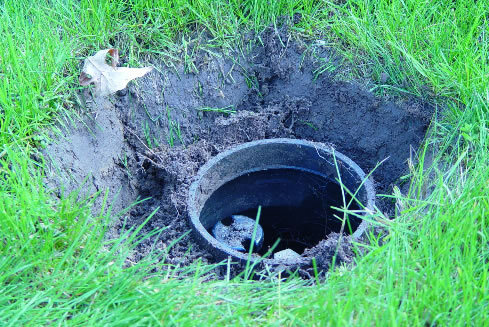 Irrigation Tech conducts repairs and troubleshooting for almost any underground lawn sprinkler system, whether we installed it or not. 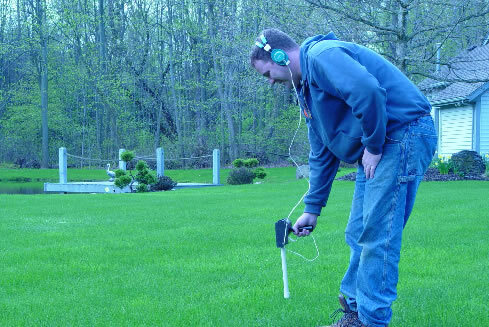 We have seven fully-trained, full-time service techs dedicated to service and repair of existing irrigation systems. 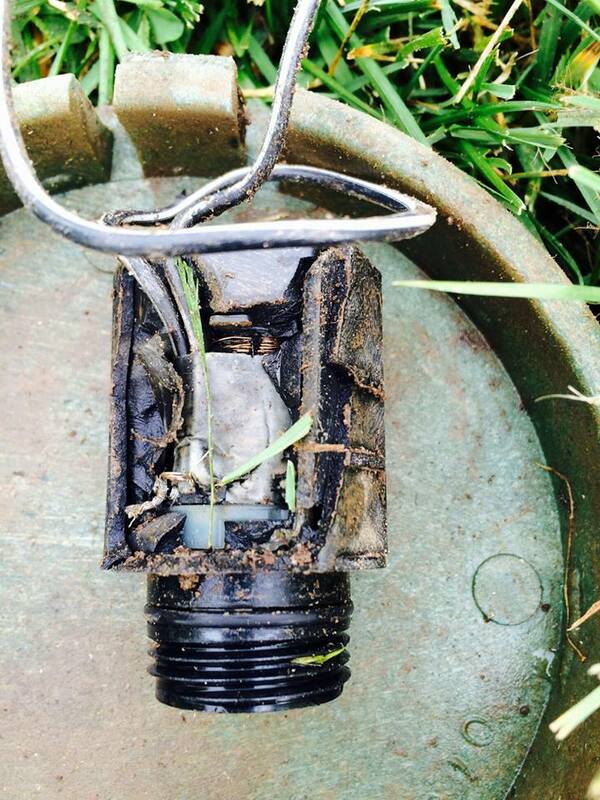 Simple repairs, such as a broken sprinkler head, might occupy one service technician for 15 minutes. Complicated repair-troubleshoot jobs might take two service technicians multiple weeks to complete. Ninety percent of service calls take one technician 1-2 hours to complete, but we are prepared for, and can handle anything. For example, using state of the art equipment, we can trace buried wires and find control valves that have been lost for years. If a buried control wire has a nick in the wire’s jacket and is faulting to ground, we can find the nick and quickly repair it. 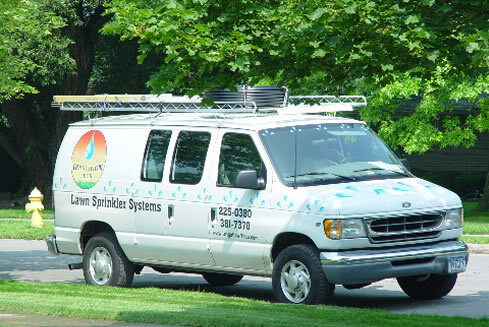 We have extensive experience troubleshooting pumps, controllers, control valves and virtually any problem that might affect an irrigation system. Every year we attend educational training classes to increase our knowledge and improve our ability to supply and maintain the highest quality irrigation systems. We have developed such a reputation for our troubleshooting abilities that we are the company called when others think the problem can’t be fixed. Even our competitors call us to help them with their problems! 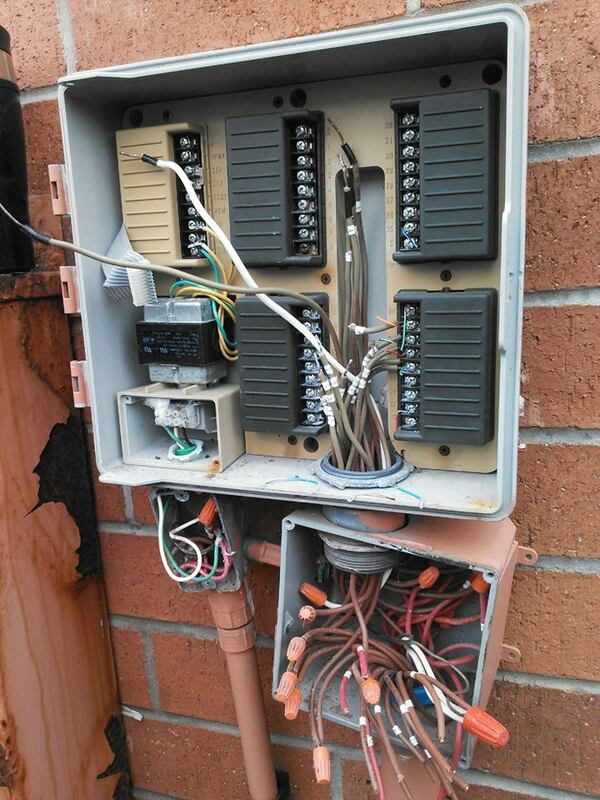 This is one of our commercial customers where we had to replace their controllers. 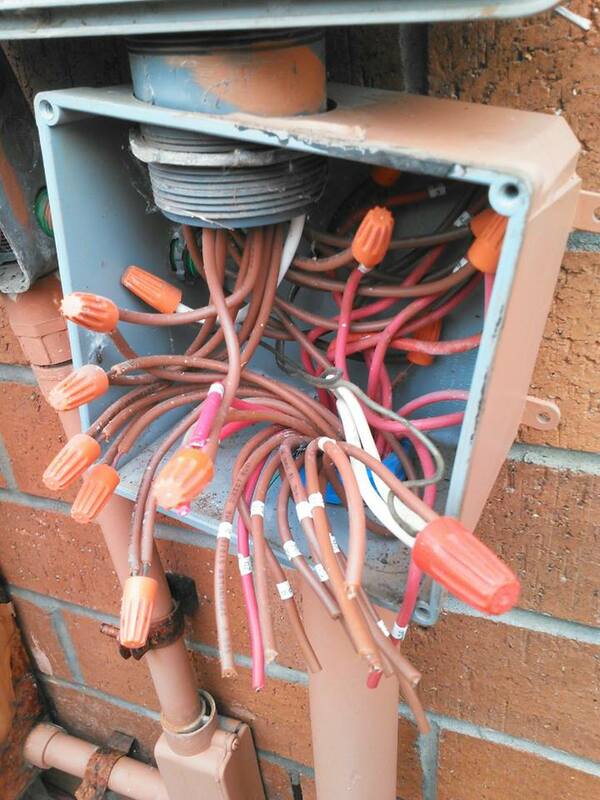 There was some messy wiring we had to work around in order to do the replacement. Both of these images are a result of lightning damage. The image to the left was of a controller that was hit by lightning only half hour before arriving to one of our appointments. 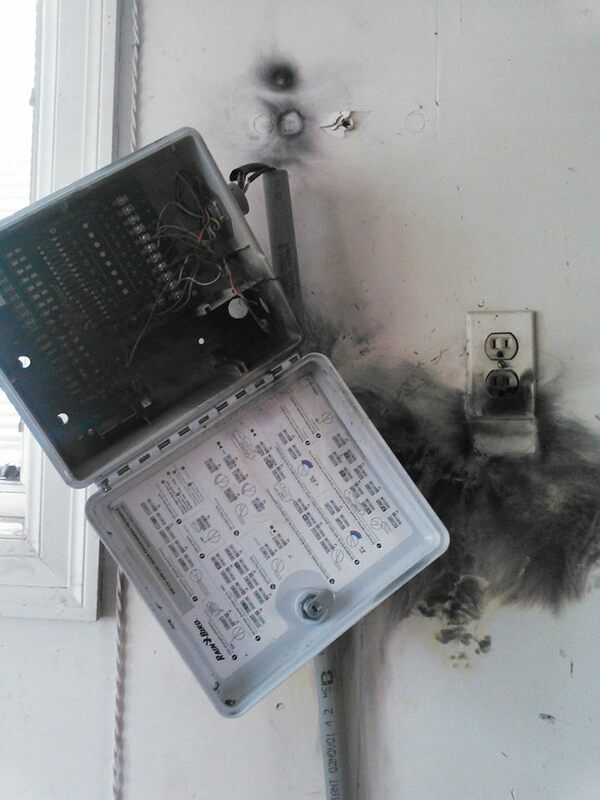 The image to the right shows a solenoid valve that was struck by lightning.